How Is Artificial Intelligence Going to Change the Global Retail Landscape? Artificial Intelligence is a phrase which is continually causing quite a stir across the world. The idea of machines and programs being able to impact and improve the functions of any process is compelling. Beyond the obvious scientific and medical applications, AI also has a lot to say in the world of retail. Specifically, its most promising runs are being recorded in the world or retail. 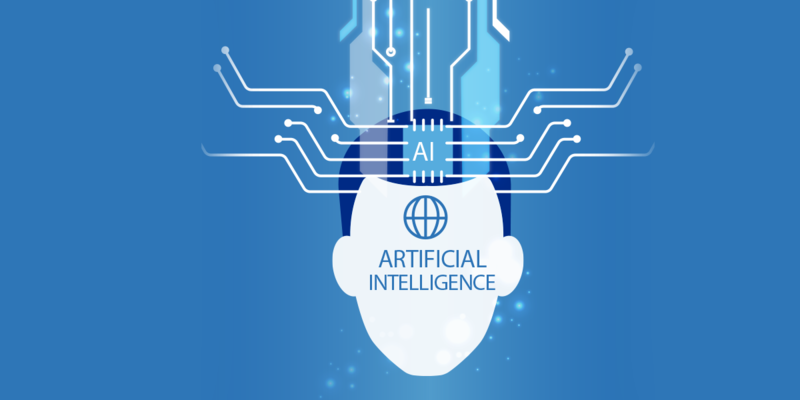 As the world becomes more tightly knit through technology and business expand their operations across continents, AI could be the way to future market penetration and business profitability. So, let’s look at some of the ways this technology my revamp the retail industry worldwide. Creating a website is hard work. Web development experts can spend up to a year or even more developing projects. Further, all these projects require regular updates and upgrades to keep in line with changing trends and technologies. Naturally, this labor-intensive task can be made much easier through the use of AI. We already have pre-designed templates. With the right inputs from web development experts, an AI program could to the bulk of the work and provide retail businesses a great digital storefront in record time. AI is a program which is designed to think and function independently. Naturally, any such program will be able to make much more proficient suggestions for customization of your ecommerce website and retail app development than any expert. Though we are not devaluing the element of human expertize, it is obvious that the sheer range of options available will be much more with an AI. Another key aspect of ecommerce website development is A/B testing and deployment time after development is completed. This can take some time as there will be some thought put into which version is better. Using an AI can automatically generate a detailed list of pros and cons which can further be validated by a market insight conducted by the program. This will help in deploying the final version of the website more easily. When seeking high-functioning retail store apps for Android, ecommerce marketplace owners can benefit from having integrated AI functionalities. Having this feature is going to mean a massive increase in overall functional value as well as error resolution. Normally, there is a degree of manual input required to process upgrades and errors. With AI, this will no longer be necessary, and businesses can enjoy seamless upgrades without any loss in functionality. E-commerce algorithms are always evolving and the next big step in their evolution is AI. This technology can maintain a sophisticated network of suggestions made to each client on any platform and also derive critical data analytics from it. So, basically, all the tasks that your ecommerce store now performs through multiple software can be integrated into one. Data extraction and analysis is key to developing an optimized ecommerce business process. This is applicable to all future-centric enterprise mobility solutions for retail in the market today. Enabling integrative data extraction and analysis is central to all retail-focussed AI programs. They will allow you to comprehend the data in an effective manner as per your analytical skills. With ecommerce growing rapidly, the need for round the clock responsive stores is imminent. This purpose cannot be served by present gen bots in any effective way. Since they are not able to adapt to different queries, user satisfaction is likely to be on the lower side. The development of smarter AI can be hugely helpful as it can provide precise answers on products and potentially connect with sellers to resolves queries as well. While multivendor marketplace mobile retail solutions have greatly optimized the process of inducting new sellers and their products into ecommerce stores. However, there much in the way of streamlining which can be done. AI can not only help integrate new sellers and keep an upgraded catalog automatically, but it can also seek out potential sellers based on market data and competitor analysis. Multivendor marketplaces are certainly profitable. But they lack the local aesthetics to really create a unique presence in any market. AI can offer mobility solutions for the retail industry by providing customized store interfaces for clients based on regions. In turn, this can provide better user experience and generate greater sales. For the global retail space, customizations for user preferences is key to generating sales and brand loyalty. With smart Ai being able to predict sophisticated preference patterns, companies can now seek to provide unique customization options like never before. This, of course, will require experts with specializations in AI-centric ecommerce web development solutions. AI is certainly the way of the future for the retail space for all the benefits it offers. With the right kind of development team, any ecommerce retail business can acquire the integrative technology it needs to compete effectively in all marketspaces. 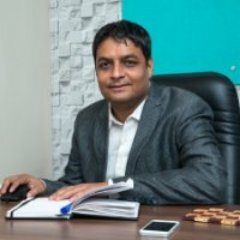 Rakesh Jain is a CEO and Co-founder of Mobicommerce, an eCommerce website & mobile app development company having a team of best app developers who deliver best eCommerce solutions mainly on Magento and PrestaShop platform. He regularly contributes his knowledge on the leading blogging sites.